Mess With The Bull, Your Gonna Get The Horns! This funny western sign reminds people not to mess with you! There is a graphic of a bull that is ready to charge… This white background sign measures 12×12 and comes with the grass rope hanger for easy hanging. Handcrafted with pride! 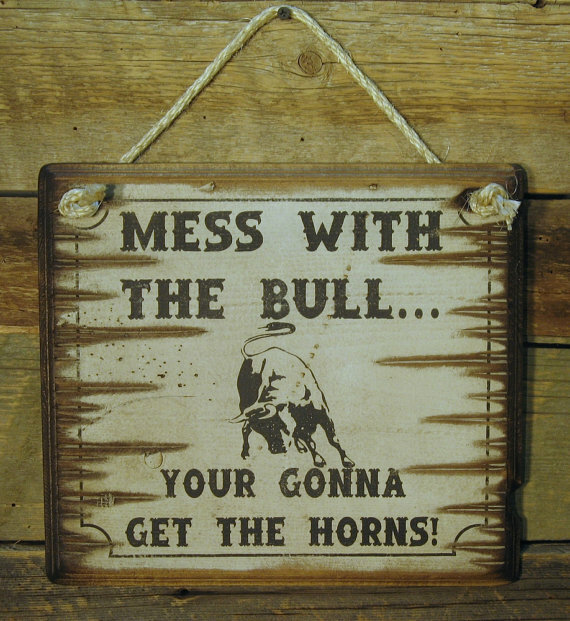 About Mess With The Bull, Your Gonna Get The Horns!